PAN digs into the archives of WordSound label founder Skiz Fernando Jr. (a.k.a. 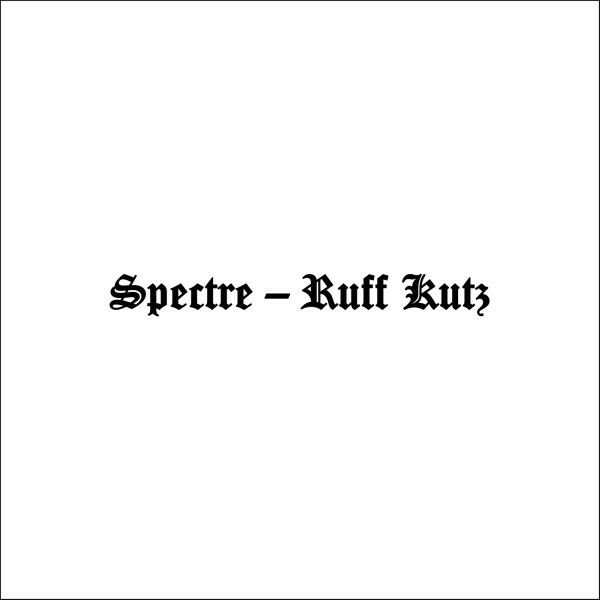 Spectre) to reissue his 1998 experimental hip-hop mixtape, Ruff Kutz, originally released as an extremely limited edition cassette. A 90 minute, mixtape featuring hits and remixes, previ- ously unreleased tracks, and dub-plate specials featuring Sensational, Mr Dead, Bill Las- well, Jungle Brothers, Kevin Martin and many more. The early ’90s witnessed a spike in mutant strains of future dub. In Bristol, trip-hop and jungle were on the rise; in Manhattan it was noise and breakbeat. But in Brooklyn, hip-hop experimentation was gaining momentum, led by Skiz’s independent label WordSound. With support from Bill Laswell, WordSound charted the experimental edge of hip-hop and dub, taking equal inspiration from Bronx Rap and Jamaican Roots music as they pioneered a lo-fi sound both primal and futuristic. By the turn of the decade, the combination of dub, ambient, and hip hop aesthetics had been baptized by The Wire magazine as Illbient—a short-lived classification now being exhumed in the form of Spectre’s obscure mixtape, Ruff Kutz. Ruff Kutz revisits the years between 1994-98, a formative era for WordSound and experimen- tal beats in general. The original cassette, according to Skiz, was comprised of alternative mixes, obscure beats, and unreleased tracks and edits. Unsigned material from Dubadelic (supergroup of Bill Laswell, Ted Parsons, DXT, and others), rapper Sensational, Kevin ‘The Bug’ Martin’s Techno Animal project, Professor Shehab as his lyrical alter-ego Psycho Priest, Djini Brown, Mr. Dead of the Metabolics, Doc Israel, Scotty Hard, and Slotek all feature throughout this vinyl reissue, fully mastered for the first time from the original DAT tapes in their original sequence. The album is mastered and cut at D&M, pressed on 140g 2xLP.